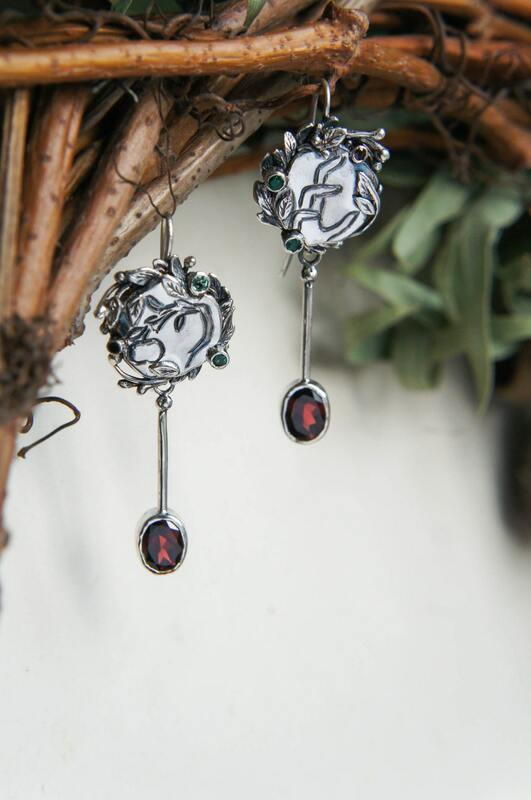 Unique earrings are made within my upcoming series 'Paradise Lost'. 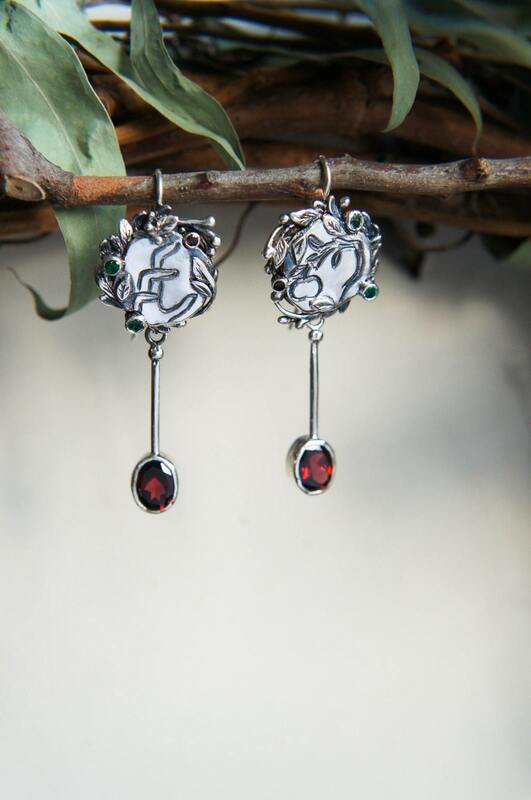 These sterling silver earrings features two mismatched engravings, one with apple and other with hand, reminding forbidden fruit motif. Wreath shaped part is surrounded by leaves and enchanting emeralds and garnet. 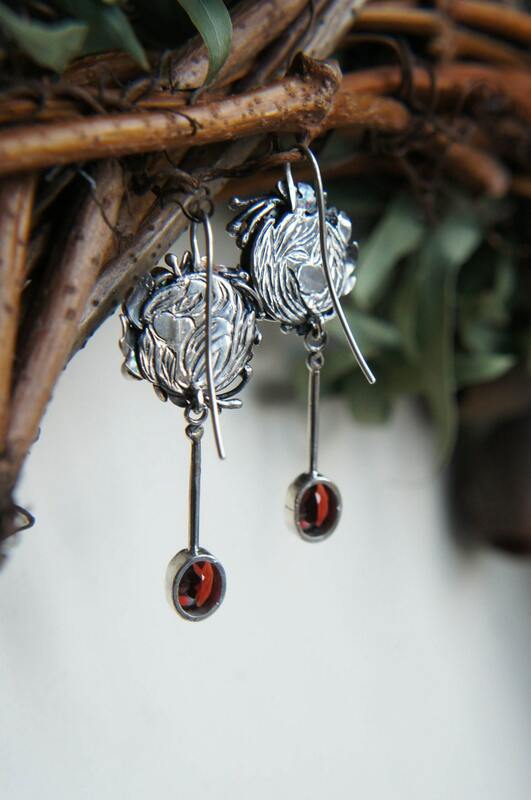 Long earrings are also adorned with hanging rich oval garnet. Silver is oxidized for a dramatic look. Back side is engraved with leaves motifs too. 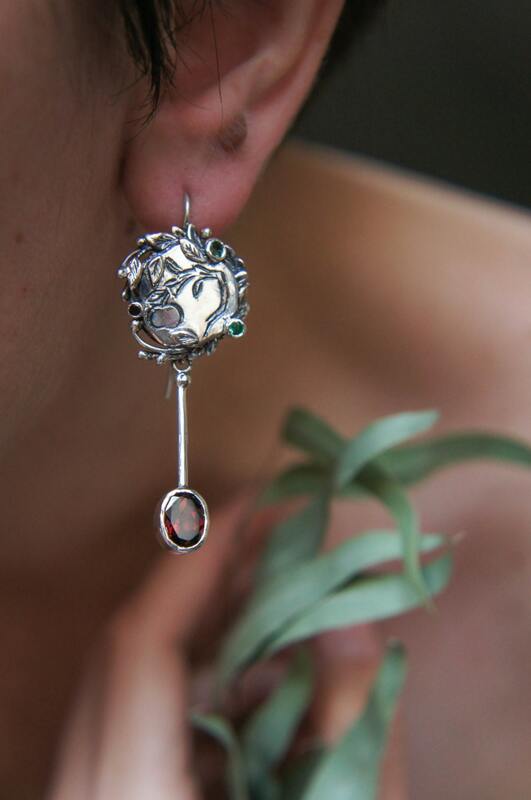 These mismatched earrings are unique and will never be repeated. 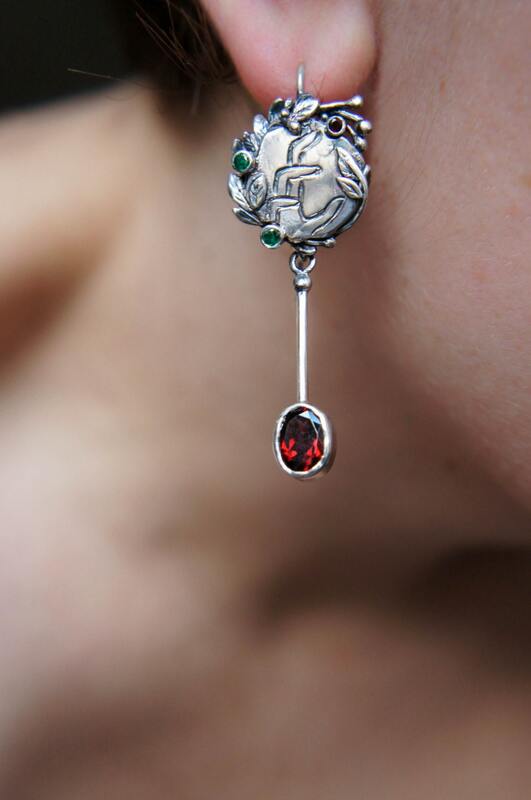 Earrings are 53 mm long. These oxidized earrings is 100% handcrafted work, we don't use 3D design or moulds, only ancient techniques which give a real touch of handmade work. We use only metal sheets and wire for our artisan creations. Then we sculpt the metal into different shapes using chasing and repousse technique, forming, cutting, engraving.. These are very long and not easy processes, but it is worth it!